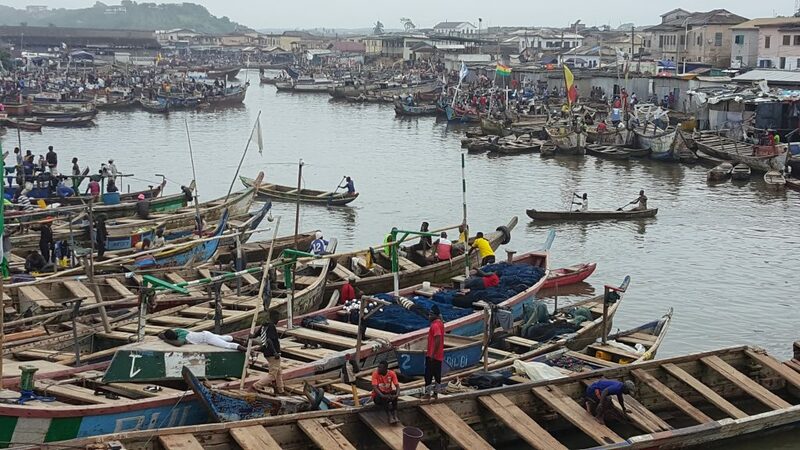 Fishing boats crowded in Elmina harbor. 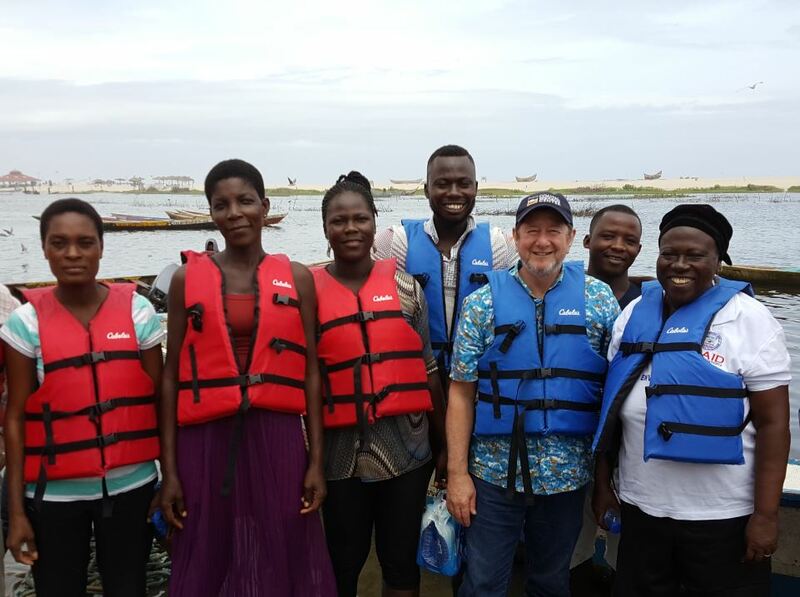 In October 2014 USAID/Ghana awarded CRC/URI a five year cooperative agreement to lead the Sustainable Fisheries Management Project (SFMP). The goal of the project is to rebuild targeted marine fish stocks that have seen major declines in landings over the last decade, particularly the small pelagic fisheries that are important for food security and are the mainstay of the small-scale fishing sector. Project partners and PI Brian Crawford (third from right) on the shore of the Densu estuary.